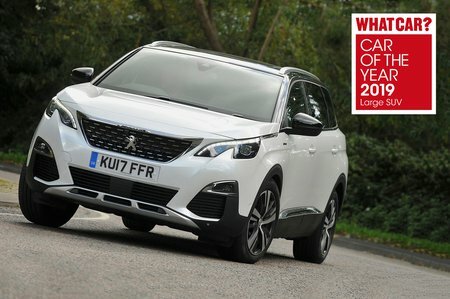 Peugeot 5008 Boot Space, Size, Seats | What Car? There’s plenty of leg room in the front of the 5008, and although there’s not as much head room as in a Skoda Kodiaq it’s still decent for taller folk. That changes if you order the panoramic sunroof, though – it limits head room quite badly. Be warned, it’s standard on the top-spec GT trim. 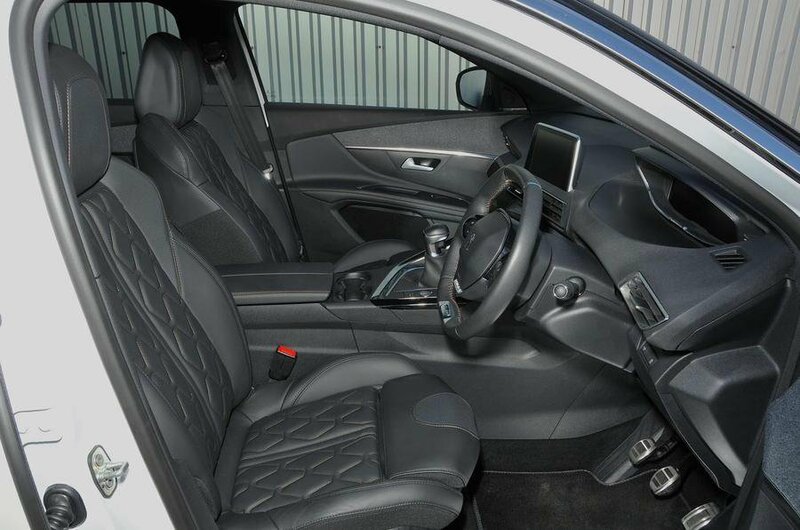 The interior is also wide enough to put a comfortable distance between you and your front passenger. The wealth of interior storage options is right up there with the class best. You might not think so if you start by opening the glovebox, which you’d struggle to fit two gloves into, but the vast cavern beneath the central armrest makes up for it. It’s air-conditioned, too, so you can keep your packed lunch cool. You also have a couple of cupholders and a large tray for your mobile phone that includes wireless charging from GT Line trim upwards. The door bins are massive and it's a nice touch that they’re carpeted inside, so loose items won’t rattle around. We mentioned the lack of head room in the front if you have the optional (or standard on GT) panoramic sunroof. Well, that roof makes things even worse for anyone travelling in the middle row of seats. It may make things light and airy if you’re a kid staring wistfully up at a blue sky, but any six-foot-plus adult with their head wedged against the rooflining will be turning the air blue with frustration. Think extremely carefully about ordering it. Without it, head room is fine, although not the best in class. A Kodiaq or Nissan X-Trail also has a centimetre or two more rear legroom, but there's still plenty for 6ft adults to sit behind their equivalents up front. Where the second row does score back, though, though, is its ability to seat three adults abreast. Not only is the 5008 wide enough to prevent occupants from clashing shoulders, each gets an individual chair that slides and reclines, including the middle passenger. And, with a completely flat floor, there’s no central tunnel for the middle passenger to straddle, as there is in the Kodiaq, so that seat is much more comfortable than the narrow and raised perch you get in many of the 5008’s rivals. The 5008’s third-row, fold-out seats are naturally better suited to kids than tall adults. However, a couple of 6ft passengers could probably stomach occupying them for a short trip, and would prefer the experience to being cooped up in the even tighter third row of a Kodiaq or X-Trail. Front passengers get height adjustment as standard, but there's no option for adjustable lumbar support or an electrically adjustable passenger seat. In the middle row, the three individually sliding and reclining chairs allow passengers to find their own optimal seating position. And because they fold in equal portions rather than 60/40, you have more flexibility when carrying longer items and passengers. The front passenger seat folds flat, freeing up the full length of the car, from boot to dashboard, if you need to fit a particularly long load, and the third-row seats pull out manually and are easy to erect or stow as and when required. The boot is massive. We managed to fit in 10 carry-on suitcases with little effort — that's a match for an Audi Q5 and better than the 5008’s nearest price rivals, the Kodiaq and Mazda CX-5. It's ability to swallow such big loads comes thanks to a good, square shape with no wheel arch intrusion, and being so tall from floor to load cover. It's made easy to load by the boot floor being relatively low to the ground and ending flush with the tailgate opening, so there’s no awkward lip to lift heavy items over. 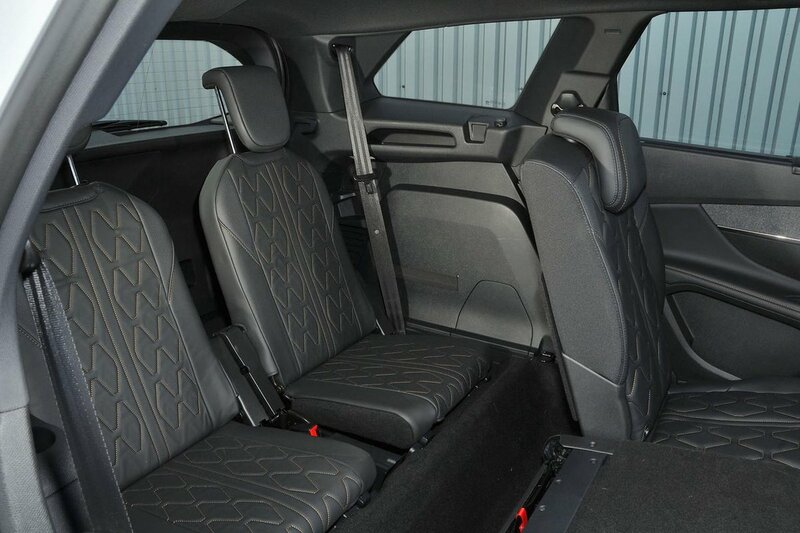 Because the rear seats slide forward, you can extend the boot space while maintaining three seats in the middle row. Or, if you don't need to carry passengers, they fold flat to give you a long extended load bay that resembles a small van. A powered tailgate, which you can open with a swipe of your foot underneath the rear bumper, is optional on most models and standard on the top GT trim.